So, what is SpeedFlatmating? SpeedFlatmating is the perfect way to find your new flatmate. It's not about what you share it's about who you're sharing it with, so it makes sense to check out the people first. By coming to a SpeedFlatmating event you get the chance to meet loads of potential new flatmates in the time it would take you to travel to and look round a single flat (and discover you wouldn't want to share with the people there anyway). It really couldn't be easier! Have a room to let? We hold several regular events across London. We have a large central Zones 1 to 3 event and 3 smaller local events in Clapham, Shoreditch and Angel. We are planning events in other areas including outside London. 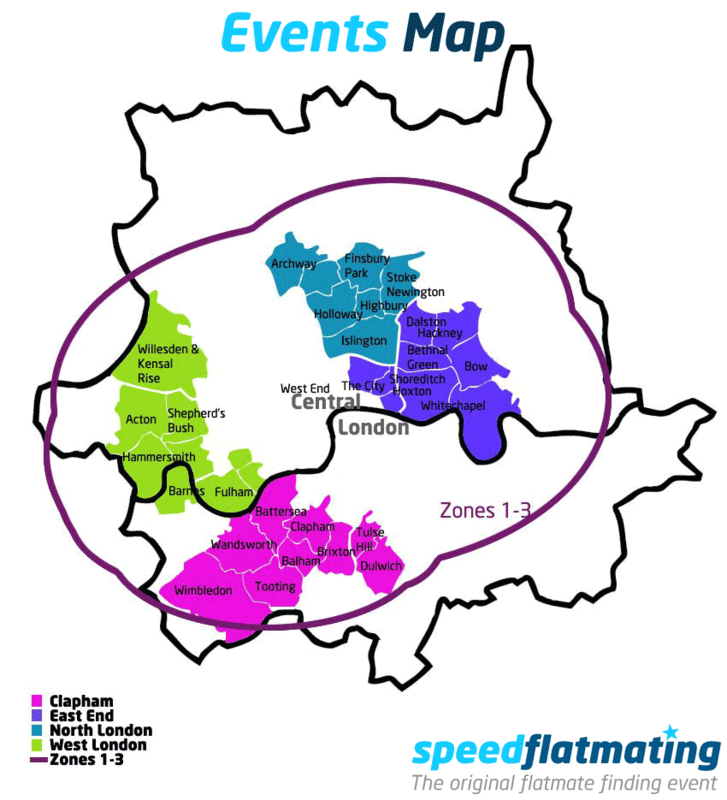 Do contact us if you would like to see Speed Flatmating in your area. Check out the event gallery! SpeedFlatmating is a registered trademark.